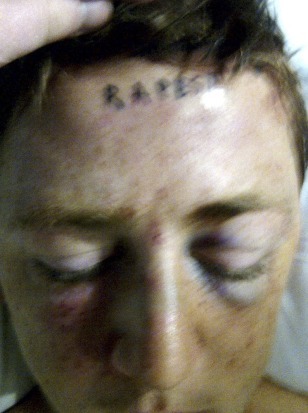 The word "RAPEST" was tattooed on Stetson Johnson's forehead. It has since been covered with another tattoo that looks like a bar code. Johnson's mother said the teen is working with a private clinic to have the tattoo removed.